It’s time to start enforcing Section 2 of the Fourteenth Amendment. With the exception of the early 1960s, the right to vote in the United States is arguably more embattled today than at any time since Reconstruction. In a quick succession of rulings in October, voter-ID laws, residency requirements, and the curtailment of early voting hours and same-day registration were upheld or overturned in states across the country. The Supreme Court permitted restrictions in some states for the midterm elections and prohibited them in others, but it refused to rule on the merits of the laws. Amid the turmoil, voting-rights advocates cheered every small victory, however local or tenuous, and rued the many losses. The movement is still staggering from the body blow of Shelby County v. Holder (2013), in which the Supreme Court struck down a key provision of the Voting Rights Act of 1965—the formula that determined which state and local governments had to submit proposed election-law changes to the federal government for advance approval. The strategy at this point is still unclear. Some favor a constitutional amendment explicitly granting the right to vote. Others support the Voting Rights Amendment Act, which would repair the damage inflicted by Shelby County and create additional protections. Both are worthy initiatives, necessary components of a strategy to protect and expand the right to vote. But an important tool remains unused, all but forgotten in a dark and dusty corner of the shed. Dating back to Reconstruction, it has the great merit of being already enshrined in the Constitution. According to Section 2 of the Fourteenth Amendment, any state that denies or abridges the right to vote for any reason must have its congressional representation reduced in proportion to the number of citizens it disenfranchises. Arguably the most radical clause in the Constitution, it was designed to remake the government and the country. It has never been enforced. On December 4, 1865, the thirty-ninth Congress assembled for the first time. Its members had been elected more than a year earlier—such a long delay was a custom of the time—and both chambers were controlled by Northern Republicans by a ratio of nearly three to one. No senators or representatives from the recently rebellious states had yet been readmitted. 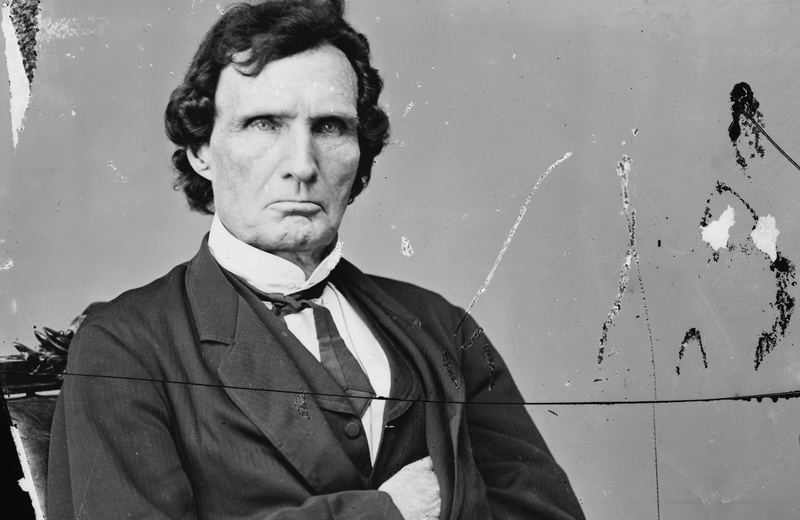 Governed by appointees of President Andrew Johnson, a Tennessee Democrat who had joined Lincoln’s Republican ticket in a gesture of unity, the vanquished Southern states were hoping to rejoin the Union as quickly as possible. From every subjugated State…there comes very general testimony that the abolition of slavery, which was the consummation of the war, is to be resisted and thwarted by the whites in every possible way. Enraged that the object for which they courted poverty, famine, exile, and death, has been for ever removed from their ambitious machinations, they seem determined that the new order of things shall not be made pleasant. Two weeks after the opening of Congress, Stevens delivered a thundering address insisting that the defeated South be treated as conquered enemy territory—not, as most moderate Republicans (and Johnson) insisted, as momentarily wayward states still bound to the Constitution. Defining the former Confederate states this way, Stevens believed, would permit the confiscation of territory for the payment of Union veterans’ pensions and the federal government’s immense war debt, and, more radically, for the resettlement of freed slaves—the famous “forty acres and a mule.” The quick re-entry of Southerners into Congress would have destroyed the radicals’ plans for redistributive land reform and, they believed, threatened the basic rights of the emancipated slaves. Even moderate Republicans who opposed Stevens were deeply concerned about the fate of the freed people in the South. Another pressing reason to resist the readmission of Southern states was more partisan: unless this Republican-dominated Congress acted quickly, the Southern representatives would return even more powerful than they had been before the Civil War. Article I of the Constitution directed that congressional representation be apportioned to the states “according to their respective numbers, which shall be determined by adding to the whole Number of free Persons…three fifths of all other Persons.” This was the founders’ politic way of referring to slavery, a word that first appears in the Constitution only to announce its disappearance. (The House passed the Thirteenth Amendment in January 1865, and it was ratified just as Congress reconvened that December.) The founders’ compromise gave the South up to thirty “slave seats” in Congress, enabling the region’s viselike grip on national affairs right up to the Civil War. With the abolition of slavery, however, “all other Persons” would now count in full for the purposes of congressional representation, even if not a single freed slave had the right to vote. Allied with Northern Democrats sympathetic to the Confederate cause, the South would have enough seats to control both houses of Congress. “All they needed to do was delay and stall” until the 1870 census, Garrett Epps writes in Democracy Reborn: The Fourteenth Amendment and the Fight for Equal Rights in Post–Civil War America, when “once again the Slave Power would be the dominant force in national affairs.” With a confirmed racist in the White House—“This is a country for white men, and by God, as long as I am President, it shall be a government for white men,” a paper quoted Johnson as saying in 1866—delaying reform would not be difficult. The successful campaign to abolish slavery would have the effect of significantly increasing the slave states’ power in Congress, perhaps to the point of allowing them to restore their “peculiar institution,” in effect if not in name. Stevens and other radicals preferred to grant suffrage outright to the freed men (women, alas, were another matter), but it was clear that such a proposal would not pass even the Northern-dominated Congress, much less be ratified by more than a few states. In the winter of 1866, only five—Maine, Massachusetts, New Hampshire, Rhode Island and Vermont—allowed all black males to vote, while New York extended the franchise only to those with $250 worth of property (then a significant sum). Recent referendums on the question of black male suffrage had been defeated in Connecticut, Minnesota and Wisconsin (as well as in the territory of Colorado, which Congress voted to admit to the Union the following year). Given the impossibility of explicitly extending the franchise to blacks, the Republicans sought to accomplish the same end by indirect means, or at least to prevent more power from accruing to the South. The first effort to do so, proposed to the Joint Committee for Reconstruction by Stevens in December 1865, would have amended Article I to apportion representation on the basis of all eligible voters, not “persons,” in each state. It would have stripped the South of representation for disenfranchised blacks, but it also would have brought unpleasant consequences for the North. While roughly 90 percent of blacks lived in the South at the time, an even higher percentage of the country’s unnaturalized immigrants lived in the North. Perhaps more damaging, so many young men in the Northeast had obeyed Horace Greeley’s exhortation of July 1865 to “go west” that women, who were not eligible to vote anywhere in the country, now made up a disproportionate percentage of the New England population. Unless those states granted women the right to vote, Stevens’s proposal would have reduced the region’s representation, thus exacerbating the problem for Republicans. It was promptly defeated by the committee. Stevens amended the proposal to specify that if a state denied the ballot to a single person “on account of race or color,” then “all persons of such race or color shall be excluded from the basis of representation.” For Northern states without universal male suffrage, their tiny populations of free blacks would render the penalty manageable. But refusing the ballot to freed slaves would sharply reduce the Southern states’ representation. Fellow Republicans immediately saw problems with the new formulation: Would it not be easy, they observed, for the South to exclude blacks from suffrage on the basis of something other than race, such as property ownership? Even so, the House approved Stevens’s language, but the amendment died in the Senate, where Charles Sumner of Massachusetts called it “a compromise of human rights,” because he thought it implicitly acknowledged the right of states to deny the ballot to black men. High on the long list of tragedies that followed Reconstruction is the federal government’s failure to enforce Section 2 even once. This country’s history would have been immeasurably happier had Section 2 been implemented—or even remembered. While many held that Section 2 of the Fourteenth Amendment was superseded or even repealed by the Fifteenth Amendment, the latter’s explicit reference to race actually makes it in some ways more limited: it disallows only a specific kind of infringement, while Section 2 provides a remedy whenever the right to vote is “in any way abridged.” In the most literal sense, the Fifteenth Amendment has been obeyed since its passage. But after a series of blatantly racist Supreme Court decisions and the presidential-election compromise of 1877 ended Reconstruction—a development welcomed, to its shame, by this magazine—Section 2 was openly flouted. The imposition of poll taxes, literacy tests and other ostensibly race-neutral mechanisms stripped most African-Americans of the right to vote for the better part of a century. The first line of the Voting Rights Act of 1965 describes it as “an act to enforce the fifteenth amendment.” Section 2 of the Fourteenth is never mentioned, probably because it had finally been rendered obsolete. The promises of Reconstruction—at least those concerning suffrage—were finally redeemed. In the wake of the Shelby County decision, the Voting Rights Act’s reliance on the Fifteenth Amendment seems increasingly insecure. Voting-rights advocates largely rely on the second section, with its requirement of proof of racial discrimination, to combat the new barriers to the ballot box. It was on this basis that a federal district court in Texas struck down that state’s voter-ID law last October, ruling that the requirement served as an unconstitutional, racially discriminatory poll tax (which were prohibited under the Twenty-Fourth Amendment, ratified in 1964). But wherever a court refuses to acknowledge such realities, the VRA is largely declawed. Last September, the Government Accountability Office released a report showing that in Kansas and Tennessee, both of which passed voter-ID laws, voter turnout in the 2012 elections declined 2 to 3 percentage points more than in comparable states that did not introduce such restrictions. The report demonstrated that turnout was disproportionately lower among African-Americans, newly registered voters, and those between the ages of 18 and 23. Now imagine if Section 2 were finally enforced. Kansas sends only four representatives to the House, so disenfranchisement of 25 percent of its voting-age citizens would be required for it to lose one. Tennessee has nine, bringing the percentage down to 11. North Carolina has thirteen representatives; 7.7 percent of voters would need to be disenfranchised. Ohio, with sixteen members, would need 6.25 percent; Florida, with twenty-seven members, 3.7 percent—still too high. But Texas has thirty-six representatives. Only 2.8 percent of Texans would need to be disenfranchised for the Lone Star State to lose a member of its congressional delegation. In her decision striking down the Texas voter-ID law, District Court Judge Nelva Gonzales Ramos found that 600,000 voters did not have photo IDs, and that the state had issued a mere 279 new ones before hearings in the case began. Whatever its intention, Texas likely abridged the right to vote for at least 4.5 percent of its electorate. “Big deal,” the skeptics may scoff, “one measly representative.” Enforcing Section 2 would neither end the latest infringements on voting rights nor immediately reverse the balance of power in the House. But it would contextualize voter-ID laws and related policies within a broader project of voter suppression that’s as old as the restored Union. The provision was designed, as one of its supporters argued, for a future in which Congress refuses to enforce voters rights, so that disenfranchising states, in the interim, would “not have the benefit of their wrongdoing.” A gift from the Radical Republicans of 1866 to the radical democrats of today, Section 2 should figure prominently in the 2016 platform of any candidate or party committed to protecting the right to vote.